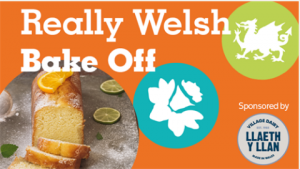 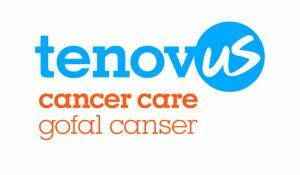 On Monday, 12th March we held our Really Welsh Bake-off in support of our regionally chosen charity of the year, Tenovus Cancer Care. 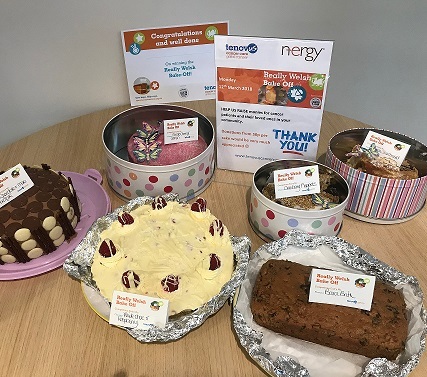 It was a very busy weekend for our bakers who pulled on their pinnies, rolled out their rolling pins but who took the title of n-ergy’s champion baker? 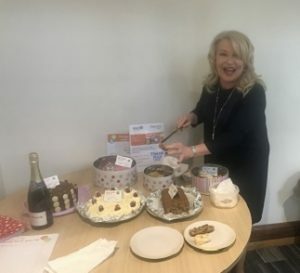 We had a good number of entries, so big thanks to Jon, Trudy, Sarah and Ash who laid out their tray bakes early in the day with Chief Executive, Donna “Berry” doing the judging! 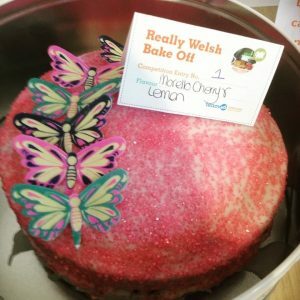 Big thanks to everyone who donated as we raised a tidy sum of £50 on the day! 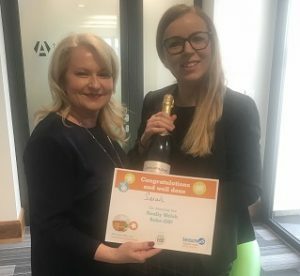 and congratulations to Sarah, our Performance Manager – Central Services who was our worthy winner!